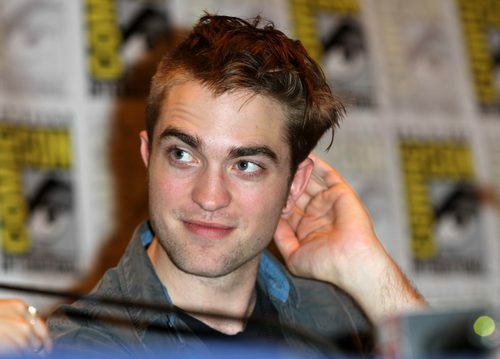 The cast of ‘Breaking Dawn’ hit Comic-Con in San Diego yesterday to dish on the upcoming films. On Thursday morning, the fans and media were treated to a chat with some of the cast members of “Twilight Saga: Breaking Dawn Part 1″. Kristen Stewart, Nikki Reed, Ashley Greene, Taylor Lautner, Elizabeth Reaser, Robert Pattinson, and Julia Jones shared some insights on filming the final two movies. Kristen Stewart shared a bit about the attempts to keep the wedding scenes under tight wraps. Early Thursday morning Ashley Greene, Elizabeth Reaser, Nikki Reed, and Julia Jones handed out muffins and drinks to fans who were camped out all night waiting to be let in for the special panel.